A lot of people don’t get the significance of being a product. It doesn’t just mean that you have value, or that you’re important. What it means is that you’re the thing being sold. There’s confusion around this because of ads. Everyone has ads, right? 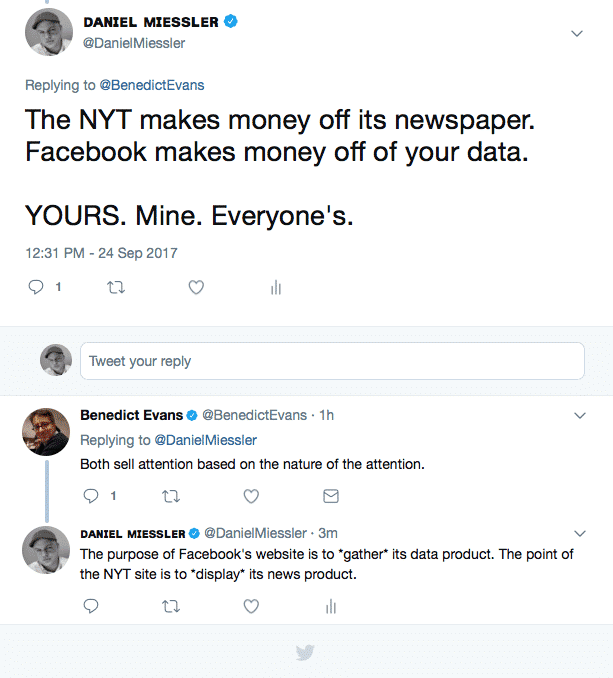 The New York Times has ads, Facebook has ads—whats’s the difference? The difference is that with the New York Times, the product is the newspaper. It’s what’s being sold to the reader, and then the attention of that reader is then sold to advertisers. Facebook is doing something different. It’s selling attention, for sure, but its main product is the data it has on its users. In this way it’s more like a data broker, like Acxiom. The entire game for companies like these is to have better data about you then their competitors. And then people pay them, and then they give your data to them. Facebook excels at this because so many billions of people use the capture mechanism (the Facebook website). Facebook—the website—is the data capture device for their main business. 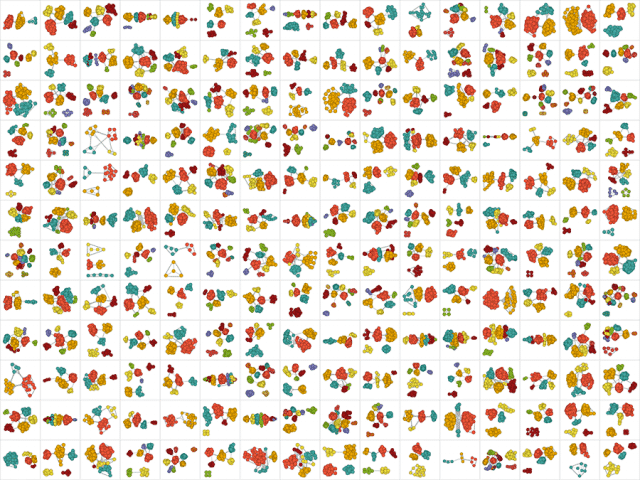 The more you give it, the more they can do their data analytics and improve their product. The magic here is in selling extremely precise ‘audiences’ like ‘Jew Haters’ or ‘Librarians with eczema’. When someone buys an ad they want as many clicks as possible, and the whole trick there is showing the ad to the right people. And since Facebook knows everything about everyone, and their AI can tell them who relates to who, they can tell you how to expand your audience to the next best/largest group. So if you want to sell your ‘Jew Hater’ stuff you can sell to the Anti-semite audience, but turns out you’ll do really well with the ‘American flag enthusiasts’ as well. Math tells us strange things sometimes. The point is that these highly accurate audience types are created by the combination of data + AI, and THAT is the product that’s sold. You are the data. You are the product. And that’s why they’re making billions of dollars per quarter. The Facebook website is just how they gather it.